I think I've mentioned before that washcloths are what I make when I can't think of anything else. That's definitely true in this case (although I'm also working on a charity project that I'll share when it's finished). Anyway, I made these using yarn left over from those baby bibs my neighbor ordered. 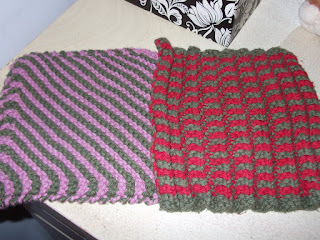 The first 2 use the same khaki green yarn. It's amazing how different it looks with the red versus the mauve. 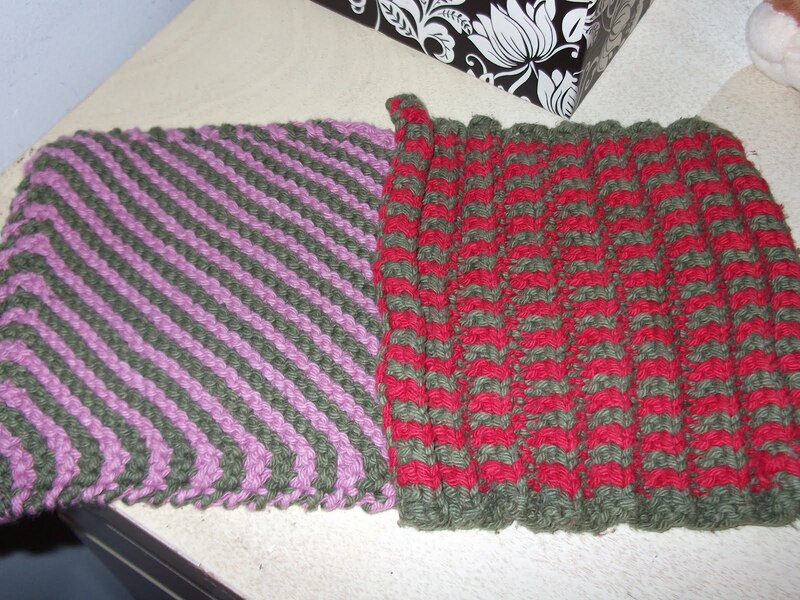 The red-khaki one is a mistake stitch rib, and the mauve one is simple garter stripes done on the diagonal. 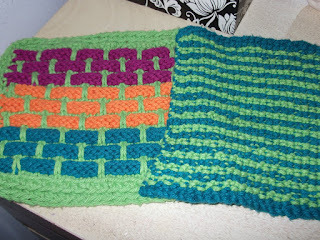 The other 2 use the same lime green yarn. I love these tropical colors. Of course, the multicolored one is the traditional Peaches and Creme ball band pattern. The blue and green one is seed stitch stripes. As I said, I'm working on a charity project and I'm also working on something for myself. Once they're done, I'll post pictures.